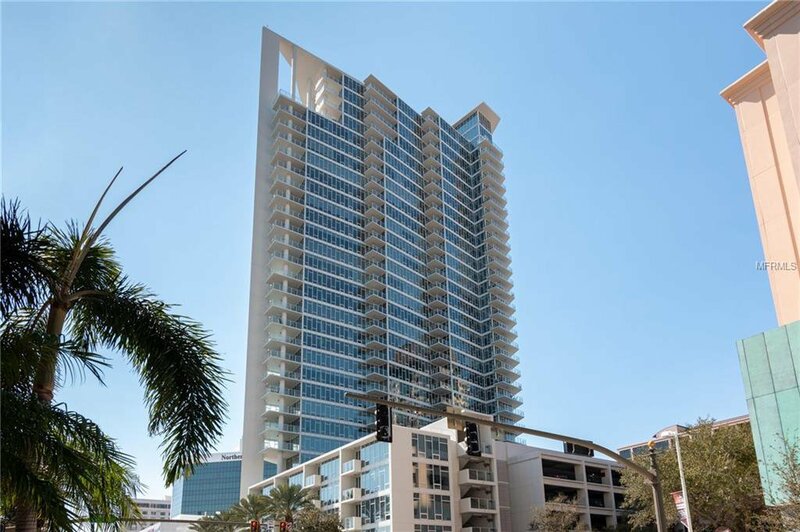 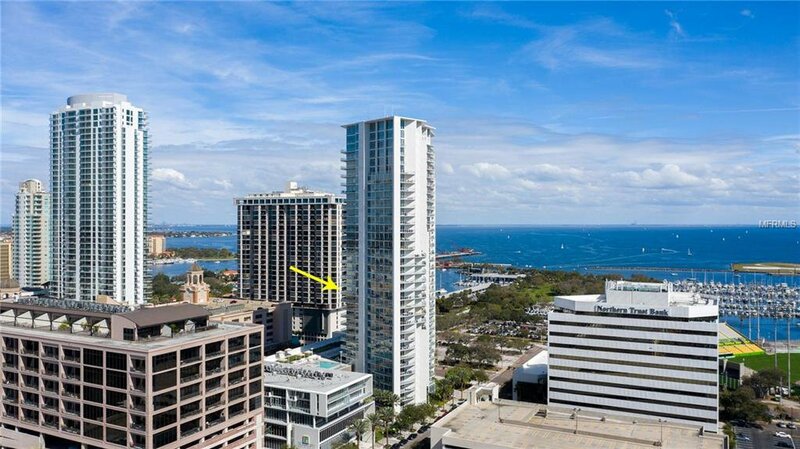 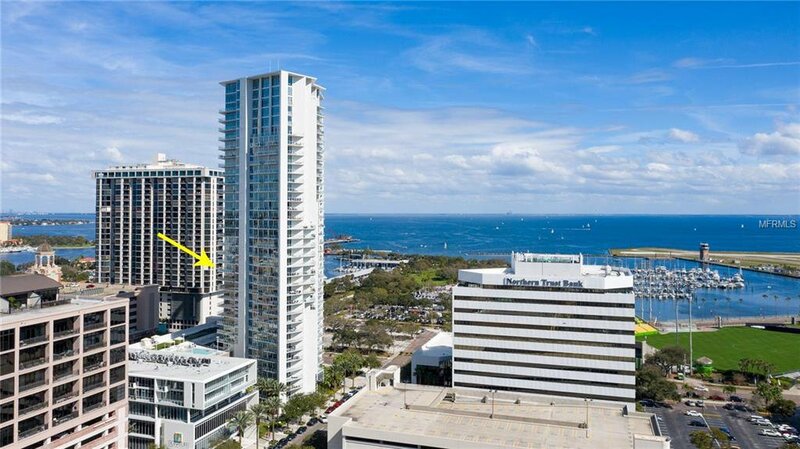 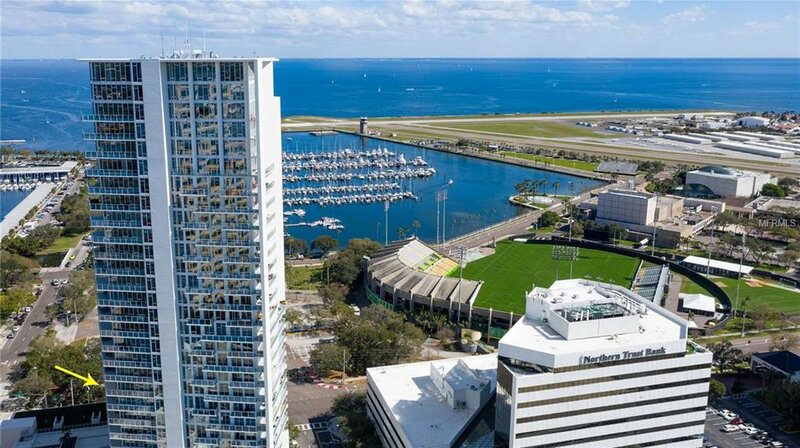 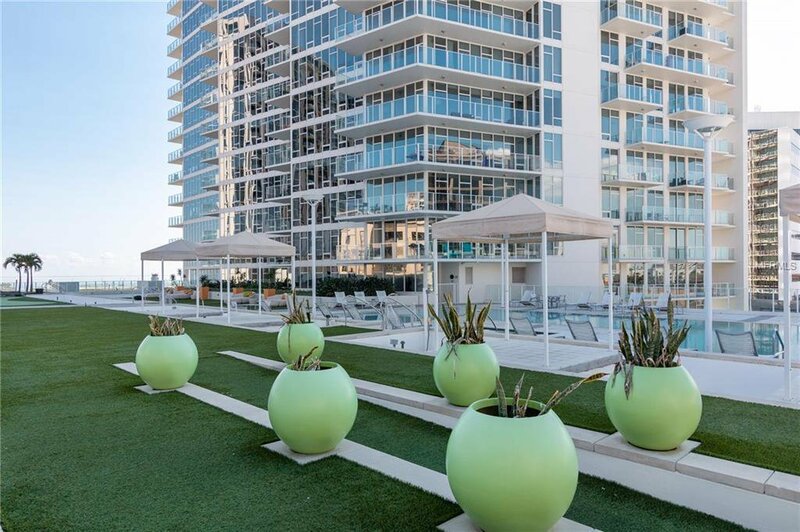 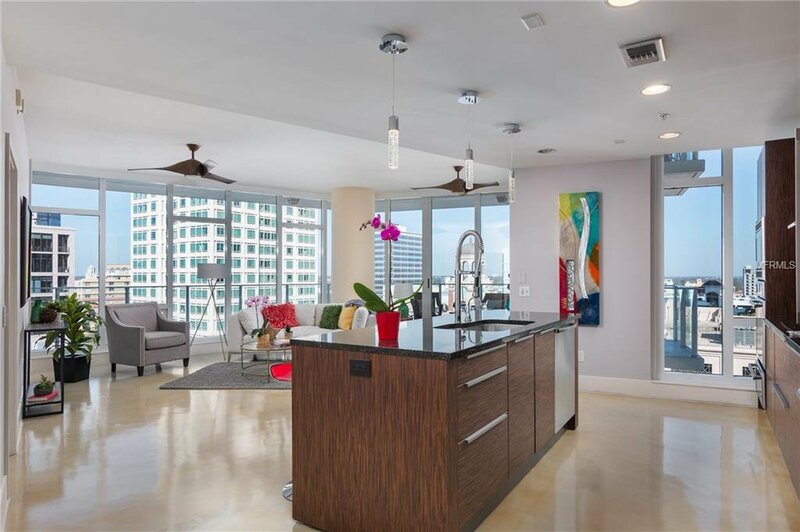 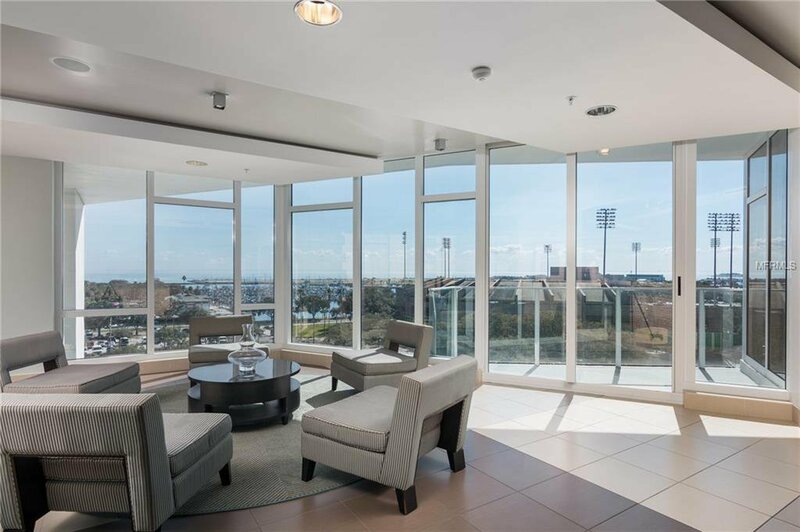 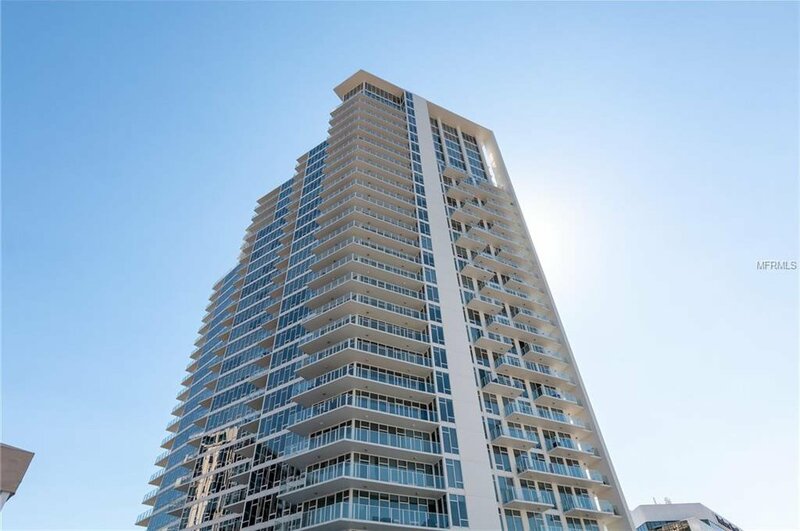 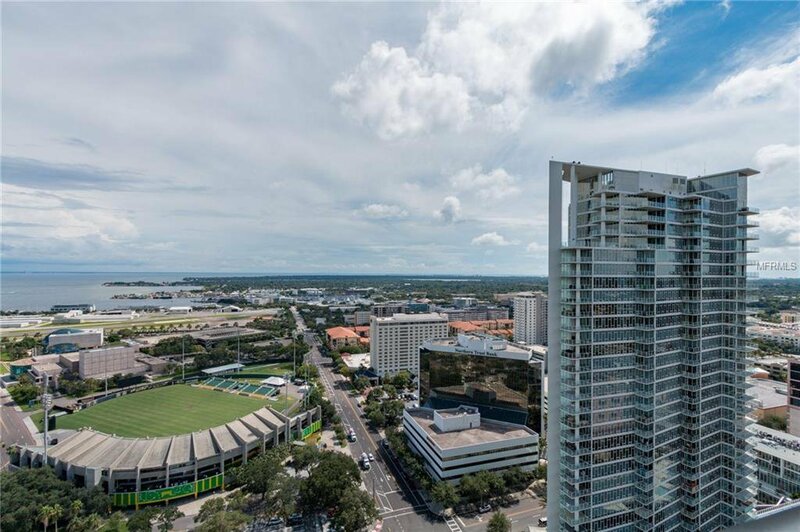 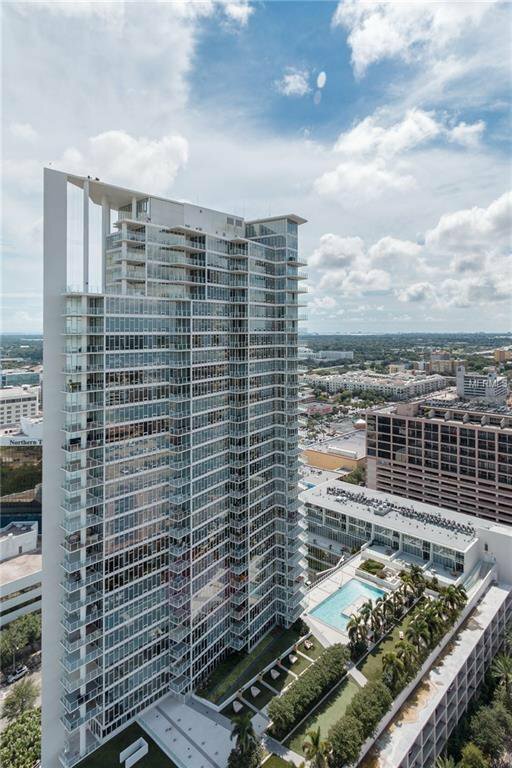 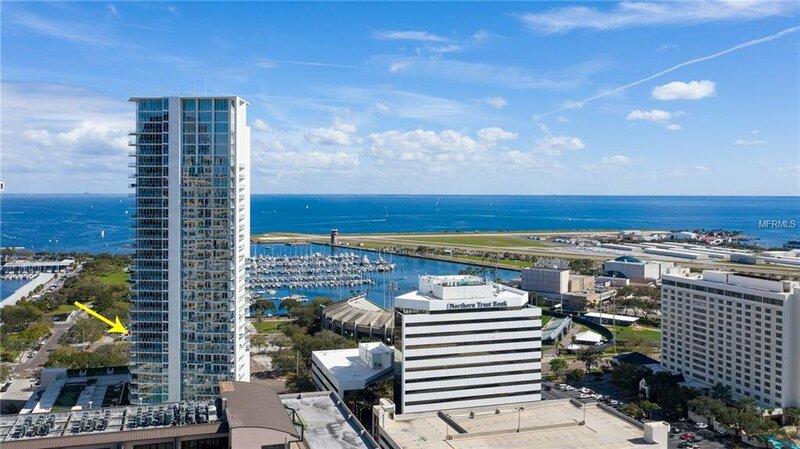 Come be a part of all that Downtown St. Pete has to offer in the stunning Signature Place Tower. 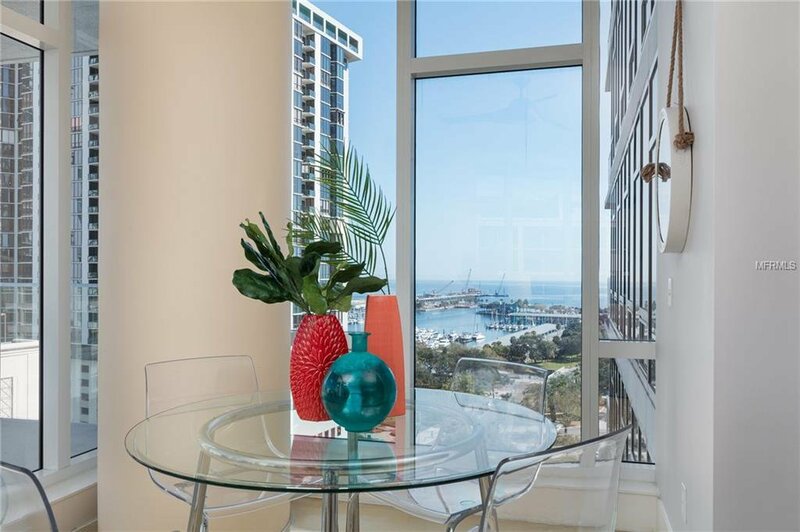 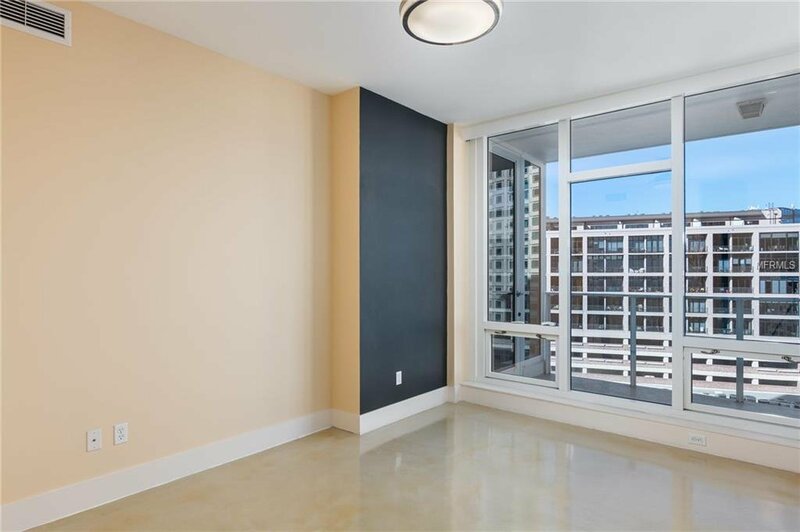 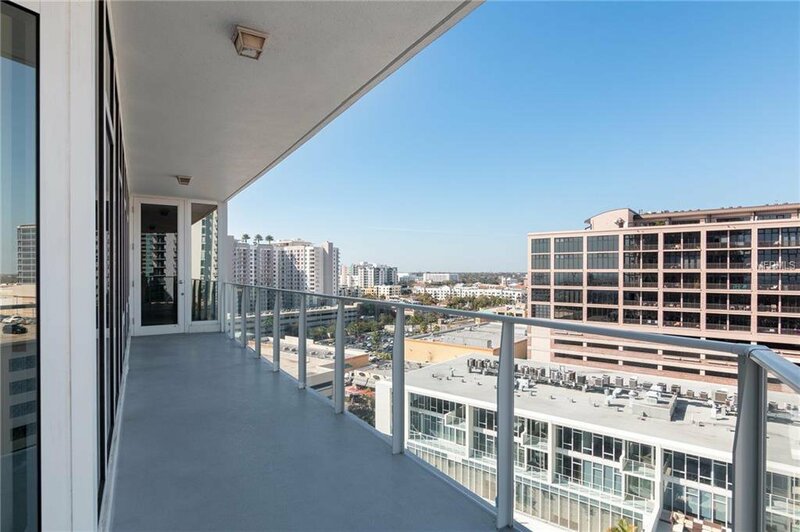 Unit 1402 is oriented to allow direct views of Tampa Bay and the soon-to-be-completed Pier, the marina and daily sunrises and sunsets! 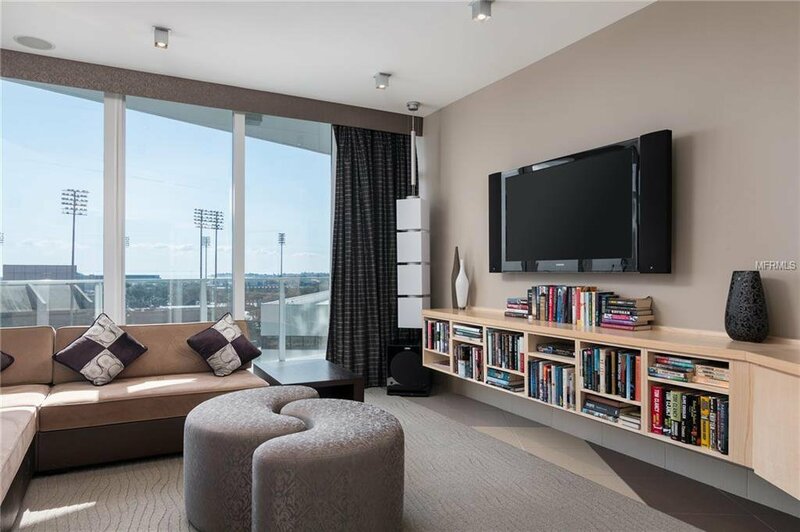 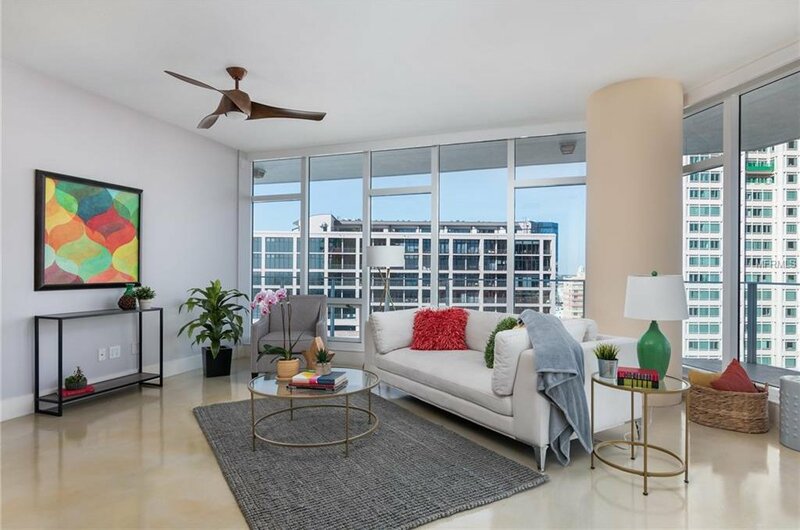 The desirable Corner Unit “F” Model is 2 bedrooms and 2 ½ baths; the floor plan allows for easy entertaining with the open living, dining & kitchen areas, lots of natural sunlight with floor to ceiling windows, custom electric sun filtering solar shades, and an oversized wraparound balcony. 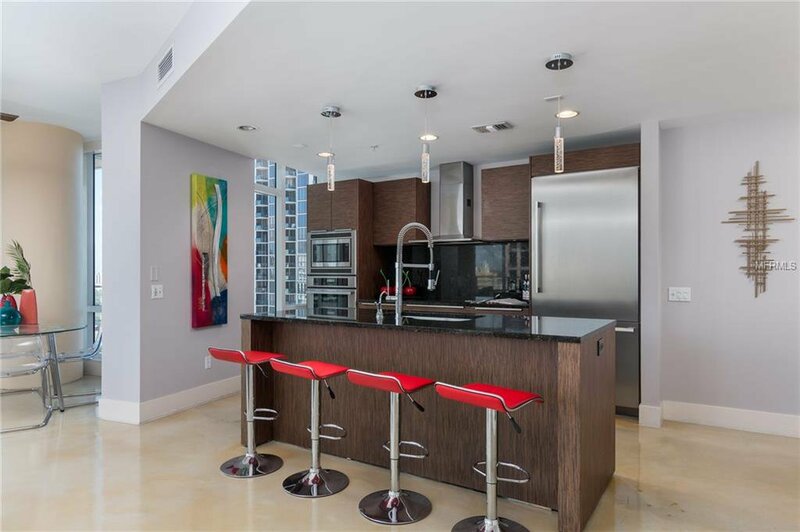 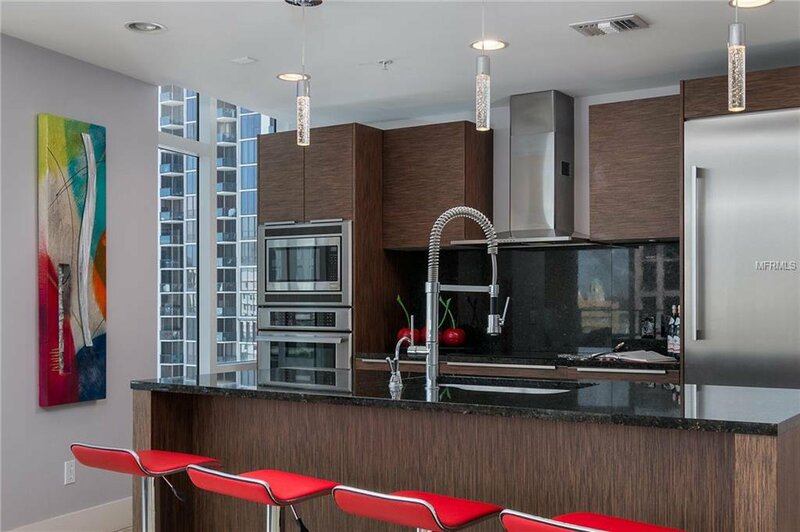 The contemporary kitchen is finished with granite counter tops, breakfast bar, and Thermador appliances including glass stove-top, SS refrigerator, dishwasher, wall oven with warming drawer and built in microwave. 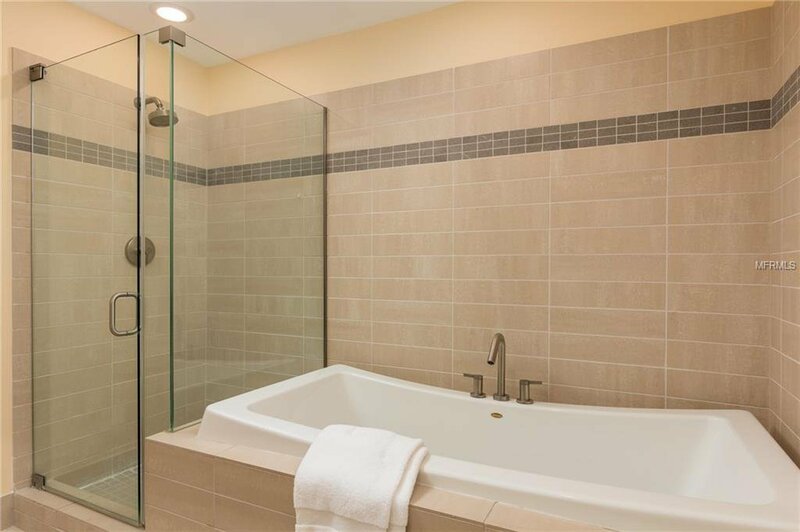 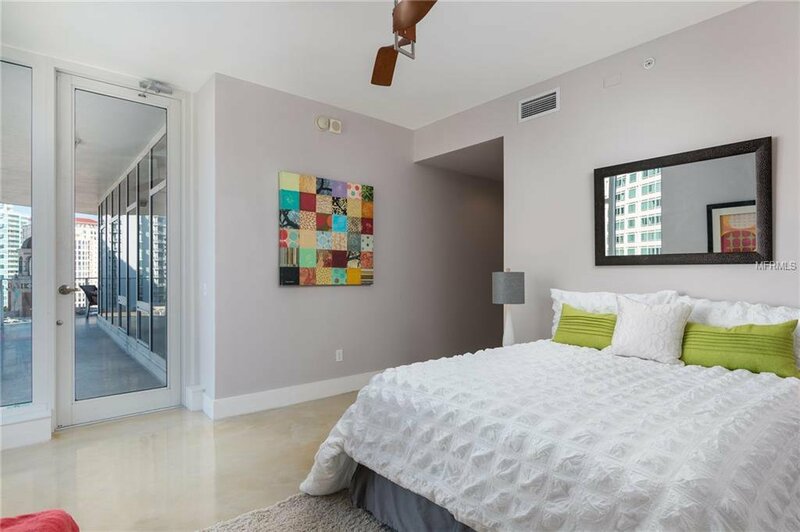 The master includes a custom walk-in closet, private balcony access, spacious bath with double sinks, over-sized soaking tub and glass enclosed shower. 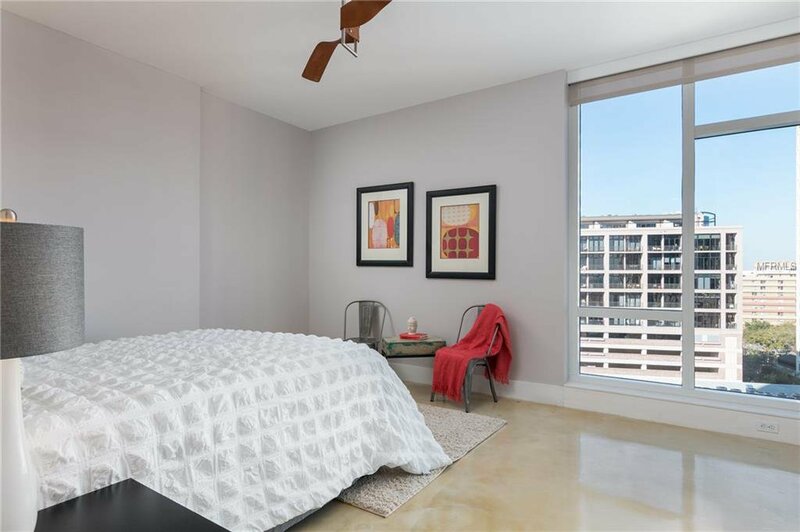 The guest bedroom/office has a private full bath, and floor to ceiling windows with a westerly view. 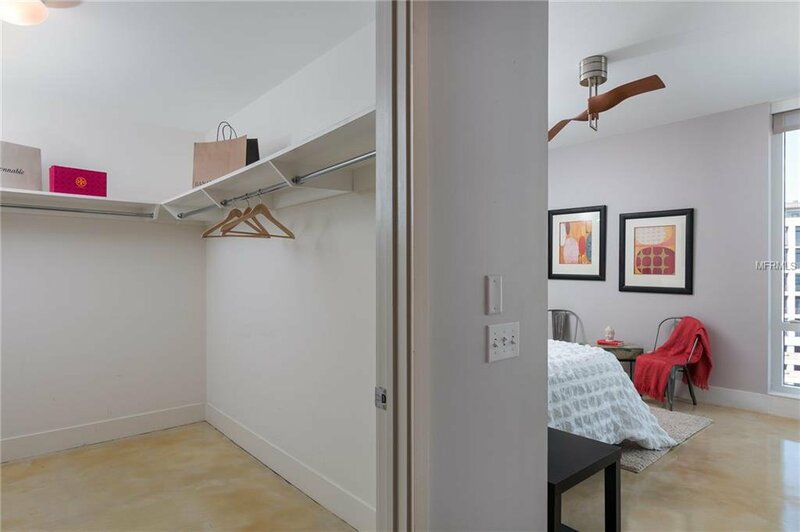 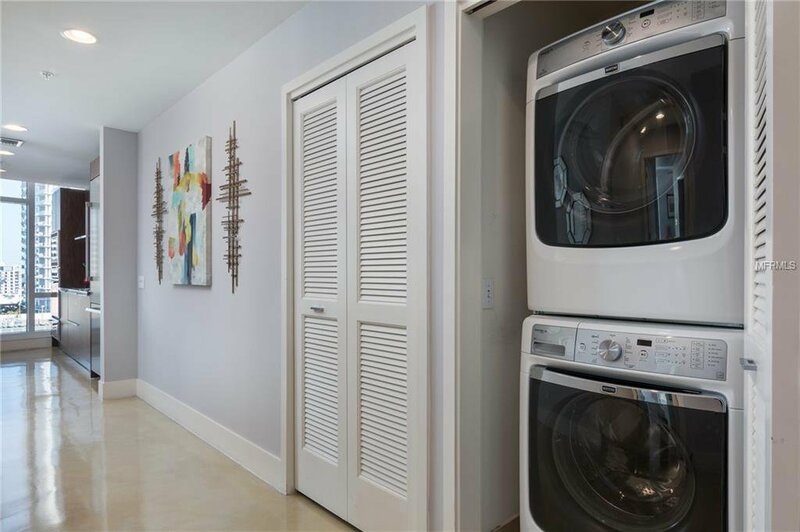 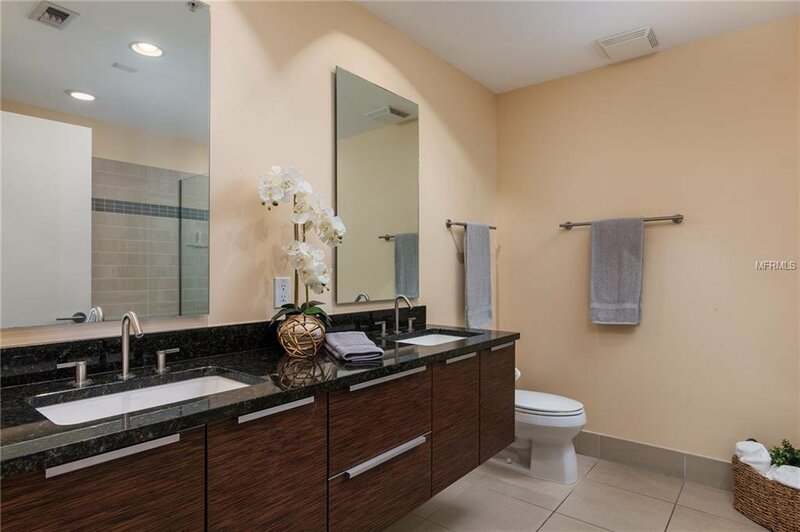 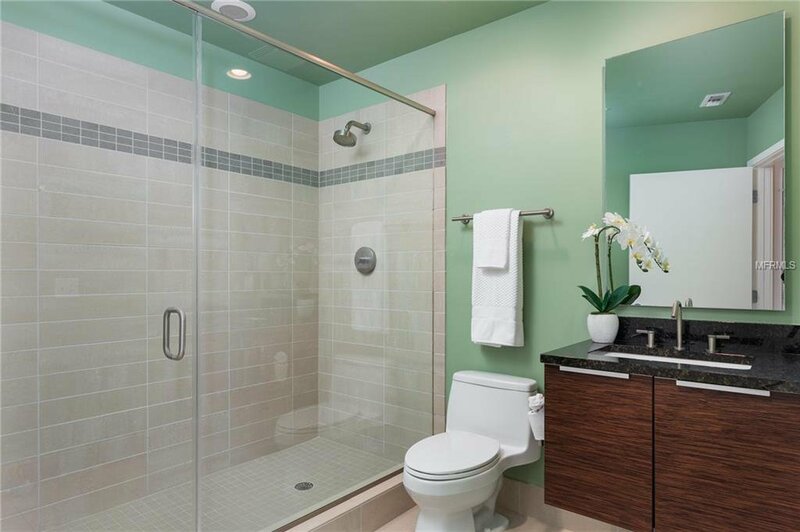 Other features include a full size washer & dryer, powder room, 2 secured parking spaces in the garage, and a dedicated storage area along with separate bicycle storage. 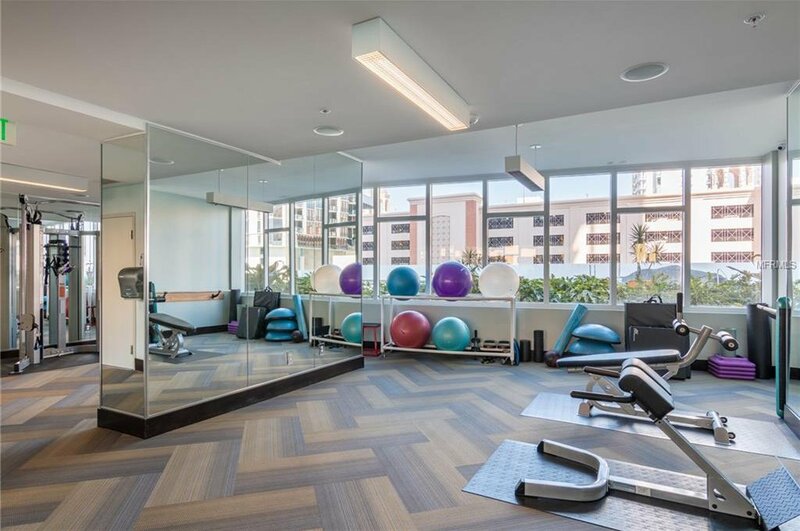 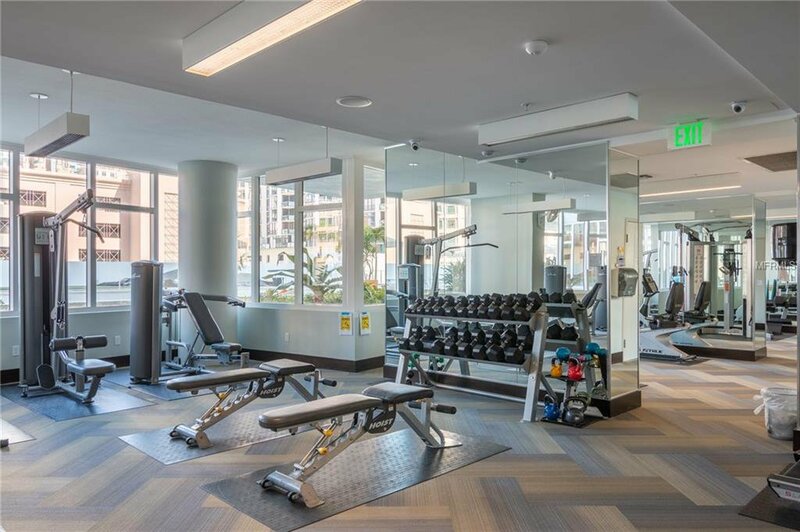 Residents enjoy the 24/7 concierge, fitness center, heated infinity pool, spa, cabanas, clubhouse, party rooms and putting green. 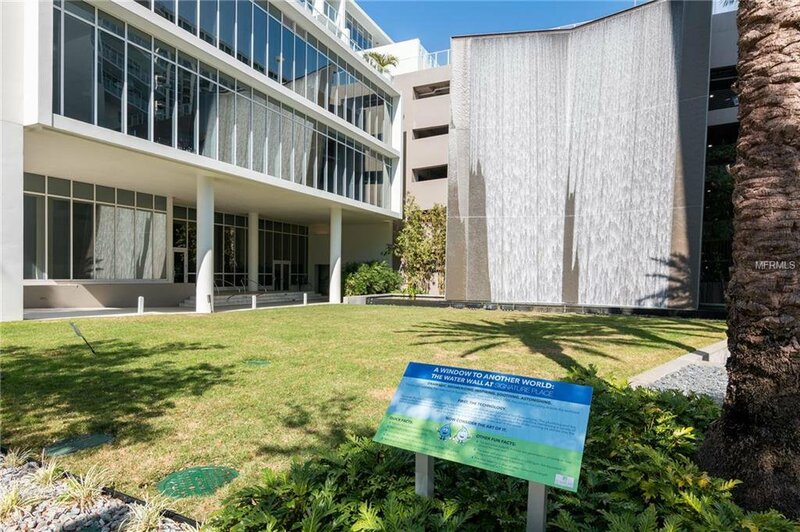 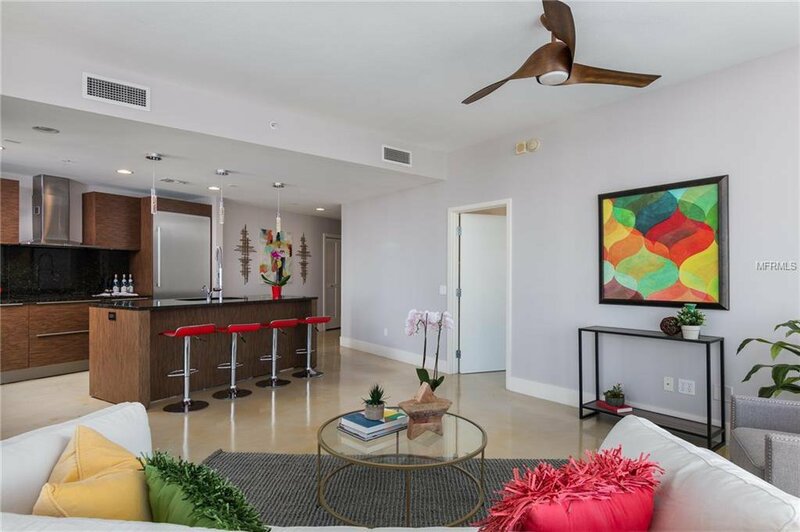 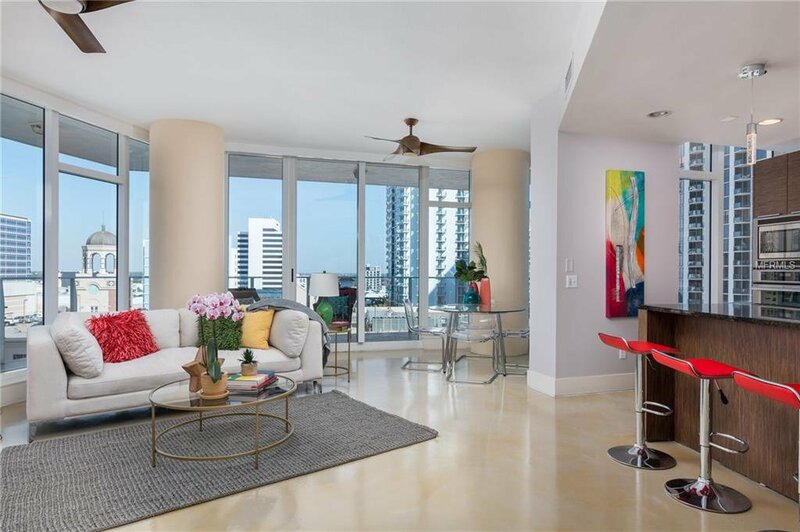 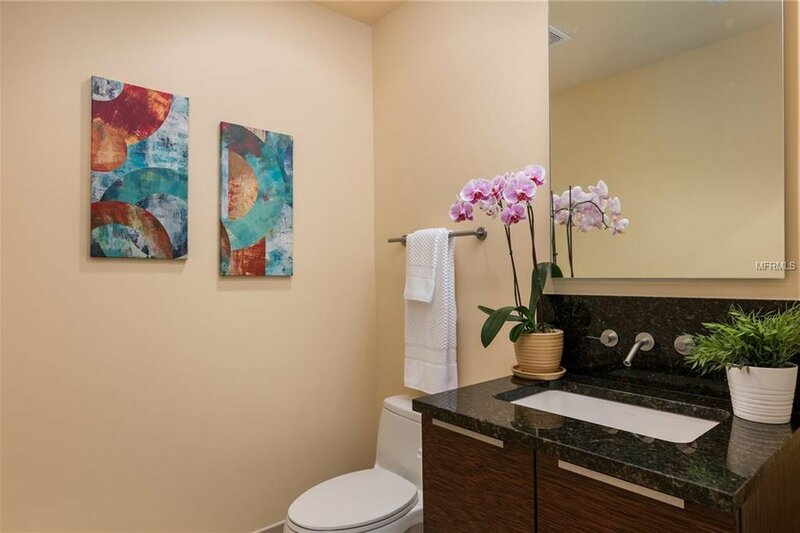 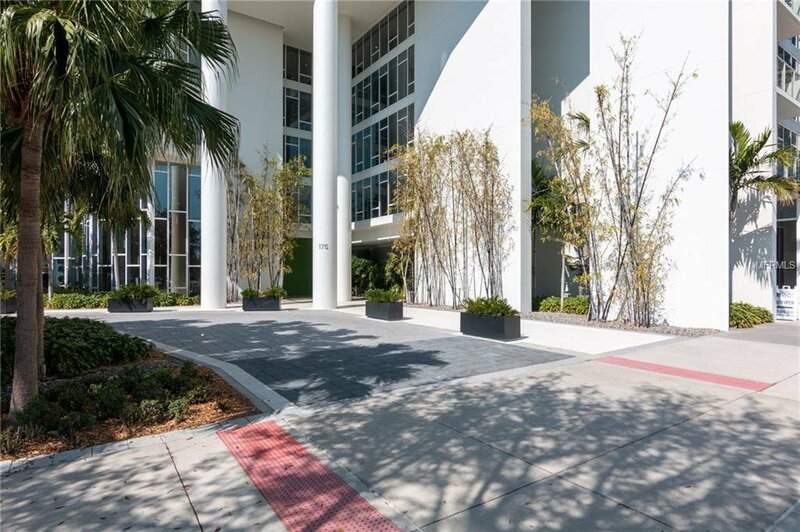 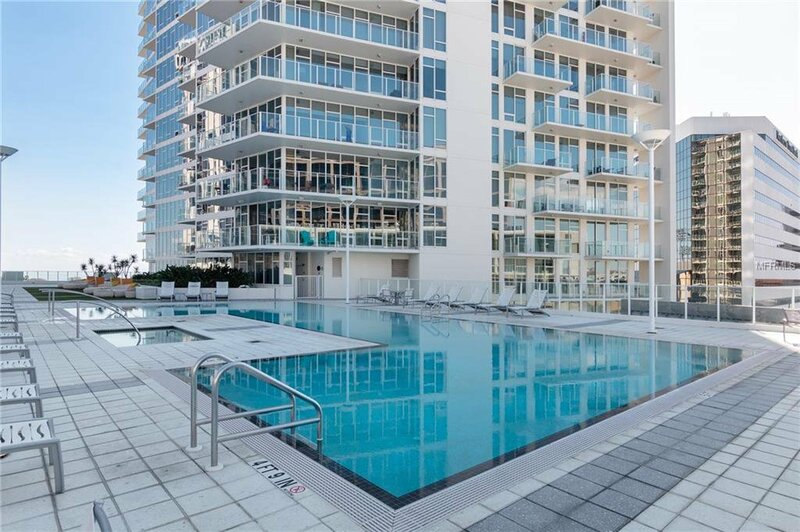 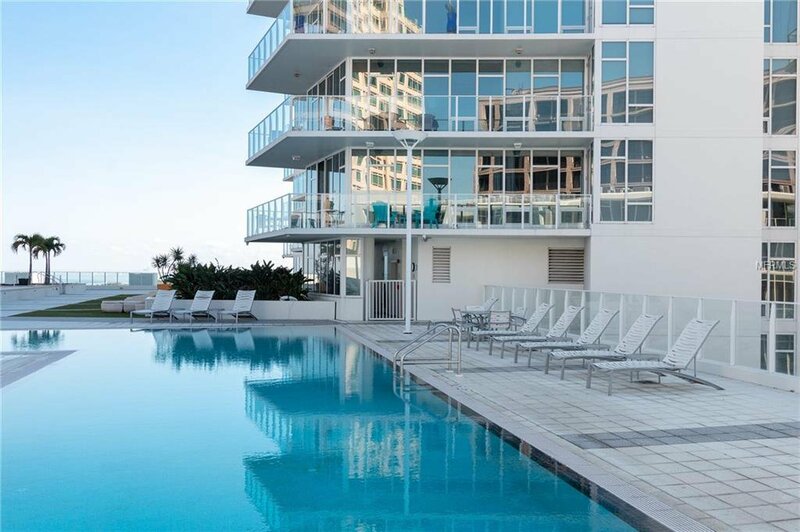 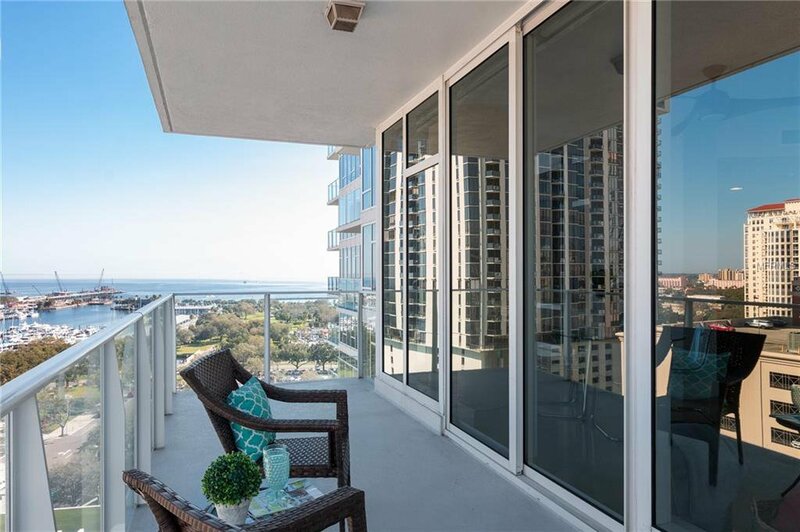 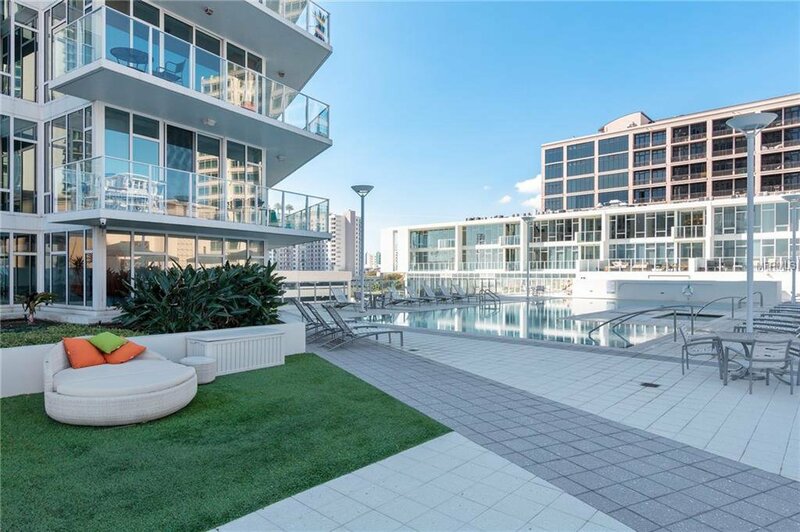 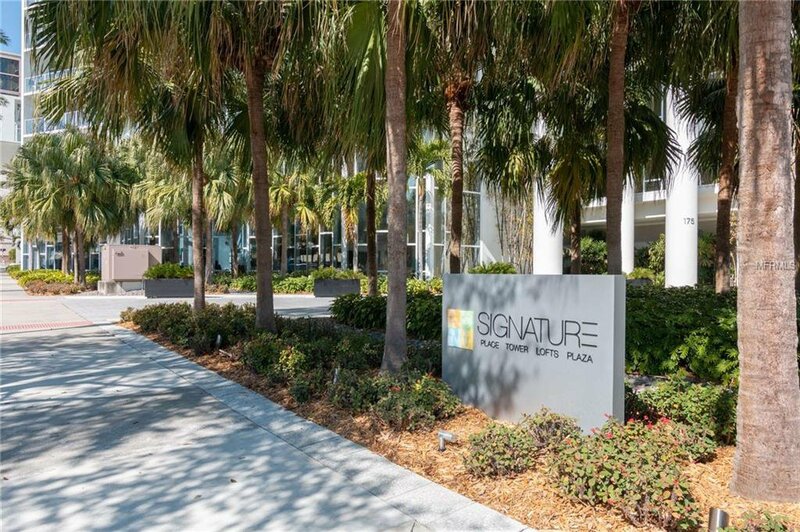 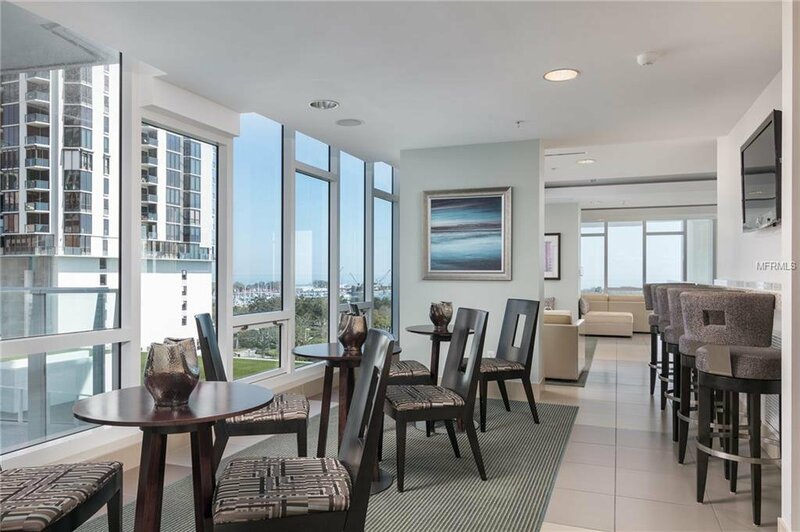 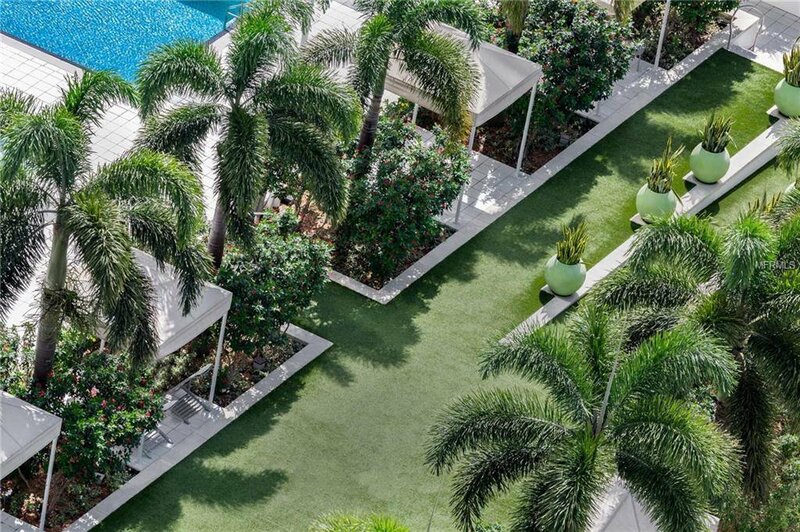 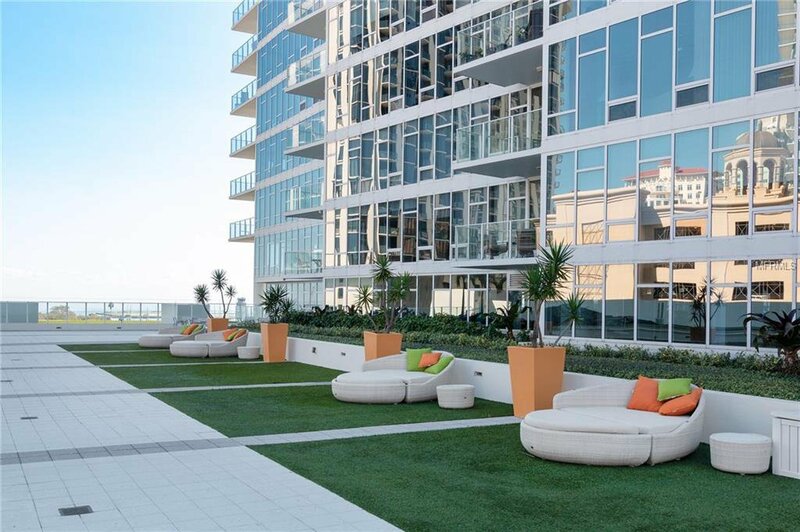 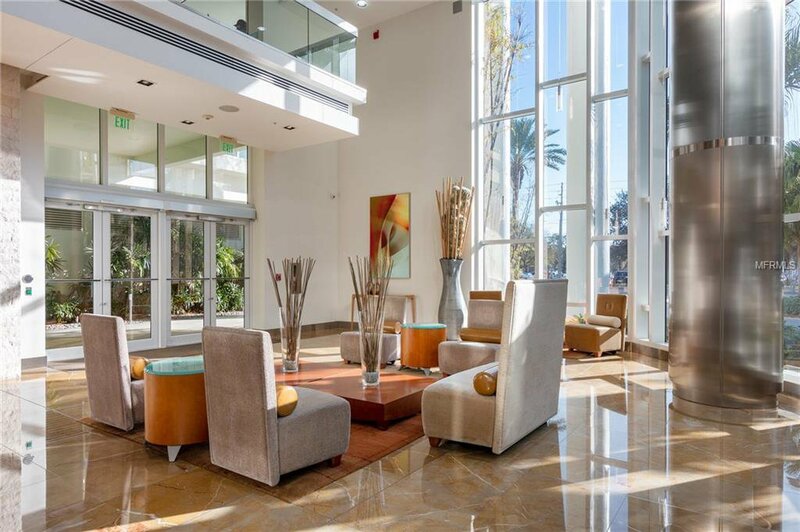 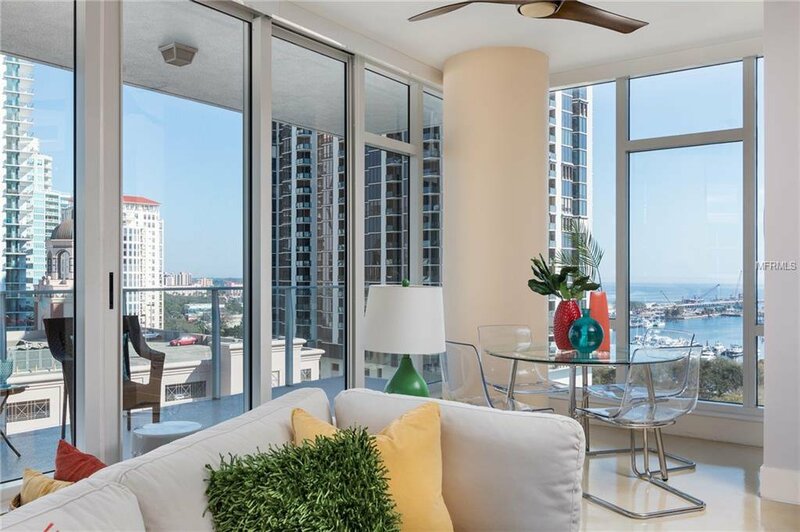 Signature Place is located in the heart of downtown St. Pete's vibrant waterfront district with its many world class restaurants, museums, art galleries, sports arenas, theaters, waterfront parks, the annual Grand Prix, & so much more.